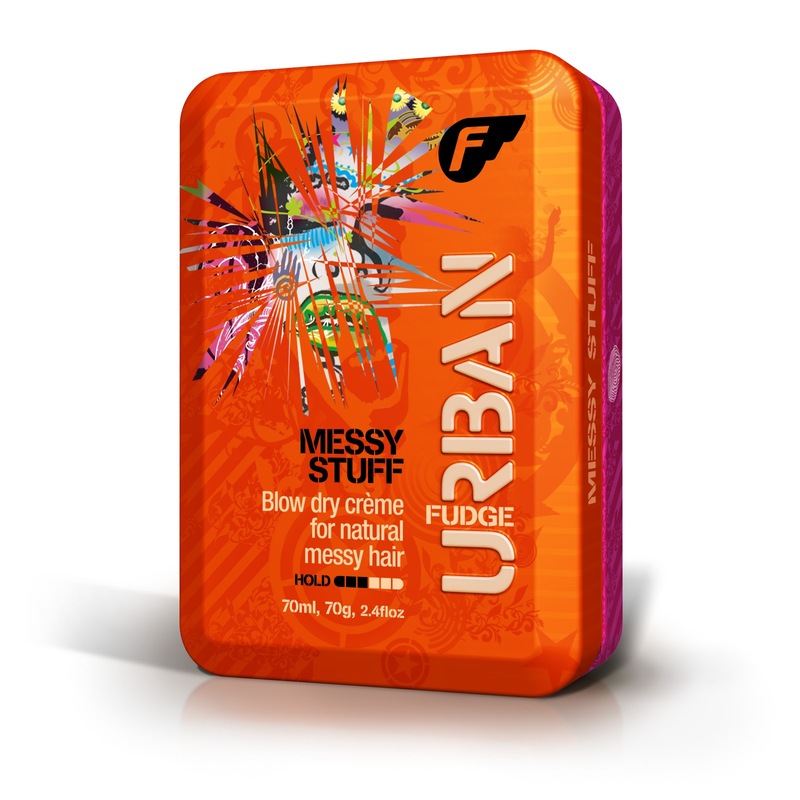 Salon haircare brand, Fudge have launched their first retail line, Fudge Urban exclusively available in Superdrug. The range comprises 11 unisex styling products, priced around the £6 mark. I was sent Messy Stuff and Instant Smoothie to try. 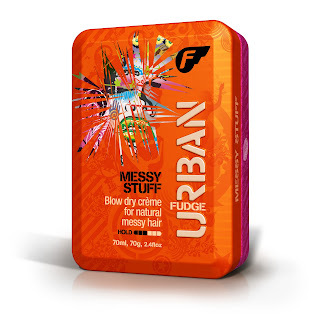 Messy Stuff is a blow dry creme designed to create the messy look. It is presented in a rectangular, matte tin, not much bigger (although it is wider) than a credit card. It opens like a book to reveal the creme which has a strong, fruity scent just like tropical fruit juice. I really liked the fun, edgy packaging and the bright orange and pink colours. I used a small, pea sized amount, warmed in my palms & then scrunched through hair. A little goes a long way so I think the tub represents good value for money. It works well to create beachy waves without the feel of any residue. My hair felt soft and not weighed down and it brushed out easily. The scent didn't linger in my hair. 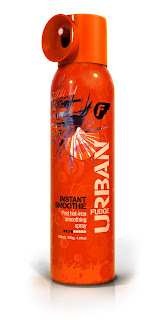 Instant Smoothie is a post hot iron smoothing spray. Again, the packaging is edgy yet functional. It's easy to use- simply spritz onto hair after using straighteners. I loved the summery scent- reminiscent of '80s tanning oils (which I know is naf but I love any hint of summer) & this scent does linger on the hair. I liked that it did what it said- smoothed flyaways, however, I've used other products in the past which provide better shine. Although I liked Instant Smoothie, I'd probably be inclined to wait until it's on offer to buy as I think the price is a little steep for the product.